A Clockwork Orange follows a group of bored teenage boys who commit horrifying acts of violence for fun. Published in 1962, the novel is set in the future in an English town. The story is told through Alex’s eyes. He is a member of the gang, who spend their nights drinking milk infused with drugs at a local bar before searching for their next victims. I found this book interesting because it is very rare to read a book and dislike the main character. 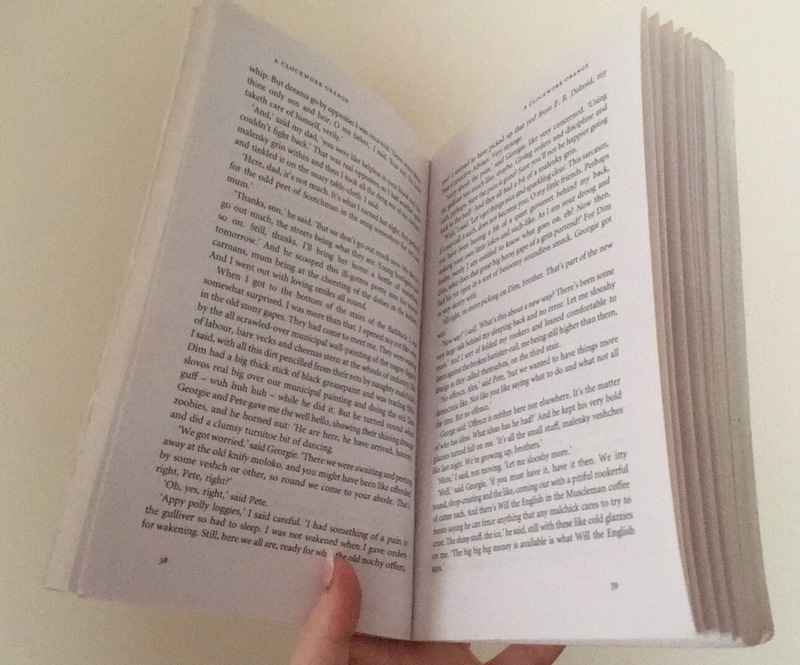 The novel gives an insight into Alex’s life before and after he went to prison. When he leaves prison he learns about the consequences of the acts he had previously committed, as he comes face-to-face with his past. Even though I have wanted to read this book for quite some time, I was sceptical due to the violent nature portrayed on the blurb. I have never seen the film either so I didn’t really know much about the book before I read it. One of the first things I should mention is how graphic the book can be. When I watch gory films I usually have to look away. Fortunately, when I read this, I not only managed to get through it, but I also enjoyed it. The language in this novel cannot go unmentioned. The author has created words like “chasha” (cup) and “moloko” (milk), which adds to the uniqueness of the book. The novel seems to be heavily influenced by the Russian language and it is a major part of the storytelling. It is confusing to start with, but once I got into it, I started to understand it a lot better. 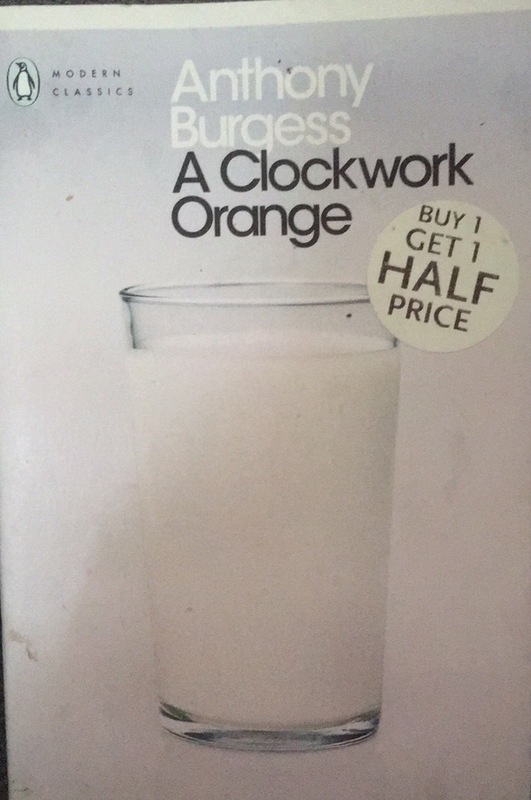 Some copies of A Clockwork Orange have a list of the translations towards the back of the book. They’re also available online. The book shows how some people take the word “power” to mean being violent in order to gain control. It showed weakness in those who were targeted and made vulnerable by the gang. But it also demonstrates how easily power could be taken away if someone, like Alex, misuses it. There are many different themes in this book, including how people can be good, bad and can change over time. I really enjoyed this book and it lived up to my expectations. It is quite a short story, so it can be read rather quickly- if you manage to learn the new language! Although this novel is quite dark, I think it’s one that will live on forever as a unique piece of literature. Its special use of language and how forward-thinking the author was adds to the value of A Clockwork Orange.